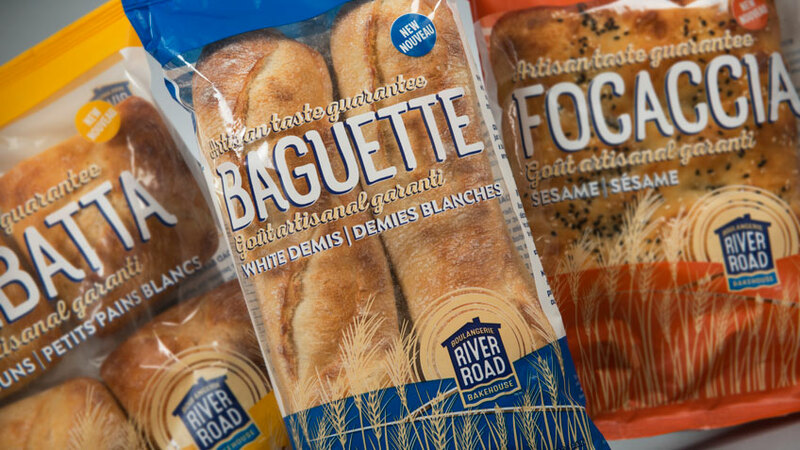 Shikatani Lacroix helped ACE Bakery introduce its River Road Bakehouse brand to consumers with an eye-catching new logo and vibrant package designs that stand out in the growing mid-tier artisan bread category. Having already staked its claim on the premium and entry-level artisan bread markets, ACE Bakery has expanded into the mid-tier market to better reach Generation X families who value high quality foods at an affordable price. River Road Bakehouse livens up the bakery aisle with a fresh, contemporary style and a design concept that highlights its quality and authenticity. The final logo for the new brand takes visual cues from its name to paint a picture of the original backyard bakehouse that inspired this label. The authoritative font and the playful blue wave pay tribute to the bread’s artisan quality while engendering trust from consumers who want to believe in the authenticity of the brand.